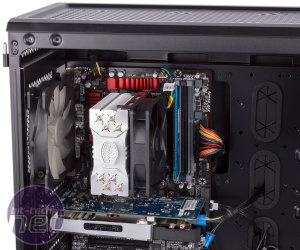 Last month, we brought you a review of the Cooler Master Hyper TX3i. 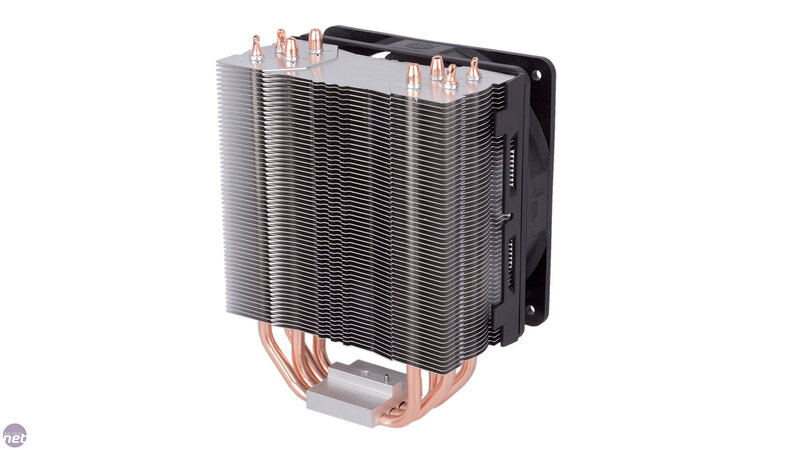 However, this small, Intel-only cooler launched alongside the Hyper 212X, a larger and more powerful cooler with multi-socket support. We now have a working sample of the 212X, so that's what we're looking at today. 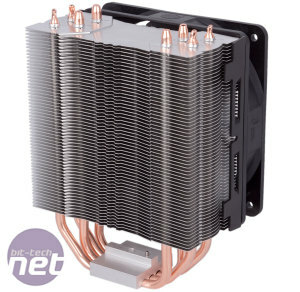 The Hyper 212X is a replacement of the Hyper 212 EVO. 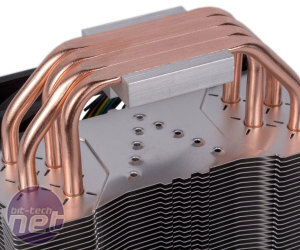 There are no major differences between the two, but Cooler Master has tweaked the design in a few places and claims to have made some manufacturing improvements to benefit performance. 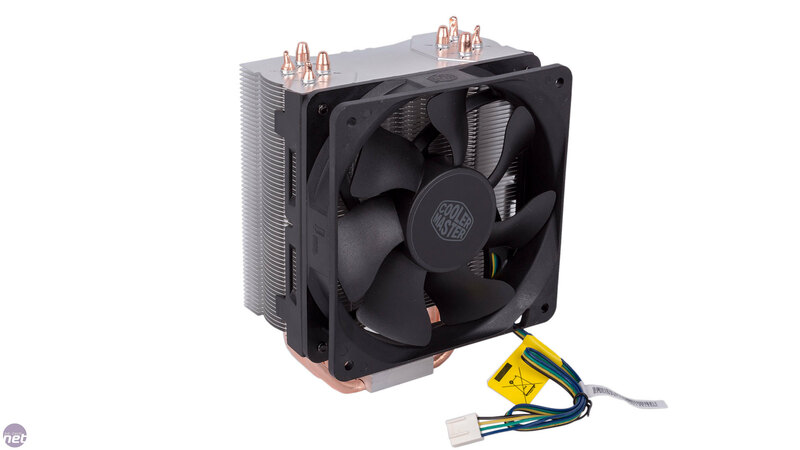 Although larger than the TX3i, the 212X is not an especially big cooler. 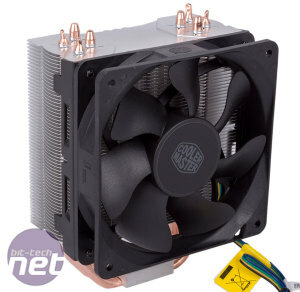 At 158mm tall, it will fit inside the vast majority of ATX mid-tower cases, and its single fin tower and solo fan mean it doesn't take up much room by way of width and depth either. 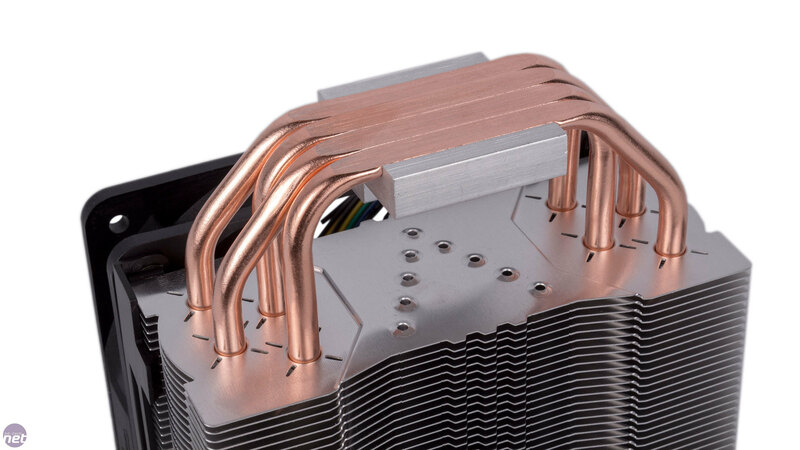 The 212X utilises four 6mm, u-shaped, copper heat pipes which use Cooler Master's patented continuous direct contact technology, whereby the pipes touch each other and have virtually zero gap between them where they meet the CPU. 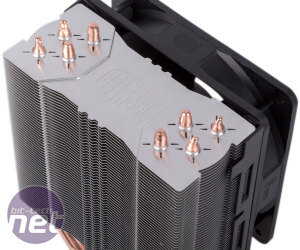 The aluminium fins above have what Cooler Master calls a New Tunnel Effect layout, with cross-shaped holes cut in a pattern of four around the heat pipes, supposedly to generate air turbulence around them and move heat away. The pipes also have v-shaped grooves, which aim to direct air towards and behind the heat pipes. The single Blade Master 120 fan sports seven blades, which have a redesigned shape said to – yep, you guessed it – boost airflow without increasing noise levels. It's PWM-controlled, although the header sits at the end of a non-braided cable, which may irk those going for a clean look. It also uses a fourth generation polyoxymethylene fan bearing said to reduce noise and increase lifespan. The fan attaches to the cooler via a very simple clip-on mechanism, though the brackets for this are riveted to the fan. We'd prefer screws to be used, but thankfully a replacement set of brackets along with screws are supplied, allowing you to add a second fan of your own, or easily replace the provided fan should it fail. The fan also comes with thick rubber contacts to help limit any noise resulting from the spinning, and again you get a replacement set of these. 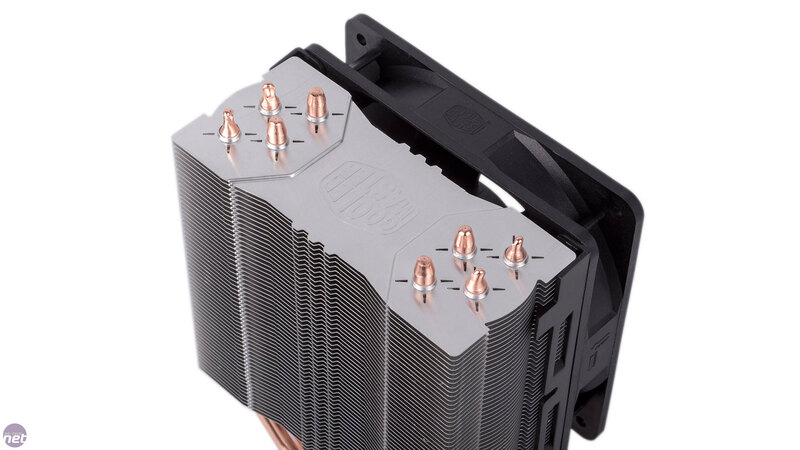 Mounting the cooler is relatively simple. 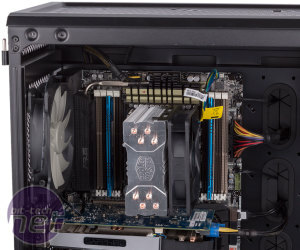 You first need to push the screw pillars into the universal metal backplate through the front of the motherboard, securing them at the rear with nuts. On LGA2011(-v3) sockets, the screw pillars screw directly into the socket. You then need to twist the universal mounting arms into the correct shape for your socket and align the pre-attached spring-loaded screws appropriately. It locks into position on the cooler's baseplate, although this mechanism could be improved to be more secure. 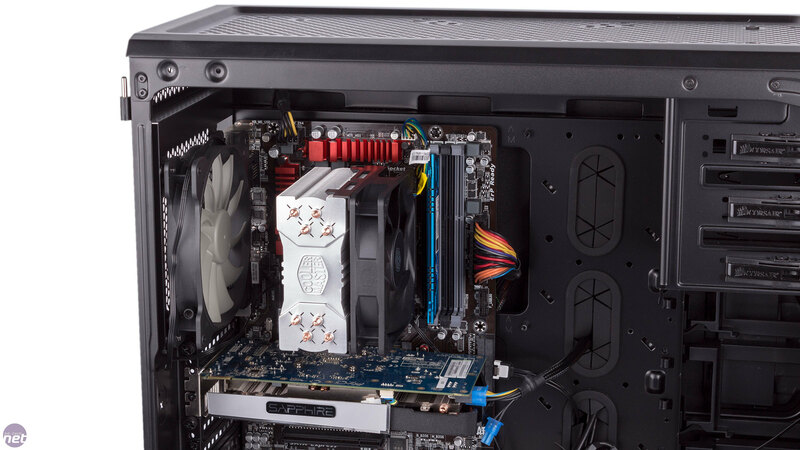 Still, the Hyper 212X can definitely be mounted within a case. Attaching the fan is wonderfully simple with the bracket – there's little excuse for companies still using shoddy fan clips these days. 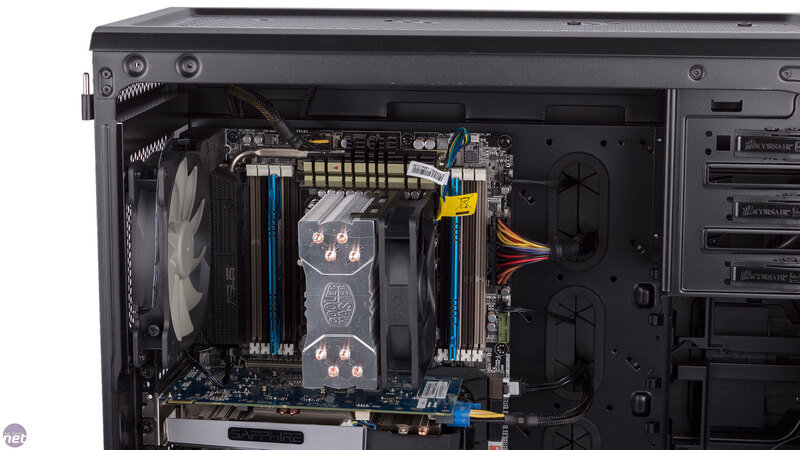 There was no conflict with RAM modules on our Intel motherboards, but on our AMD one the closest RAM slot was covered by the fan, though it's high enough to allow low-profile modules to be installed.